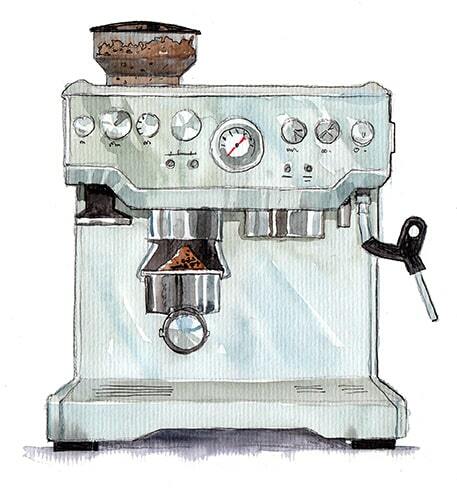 Breville is a dependable name for any coffee devotee. The brand is known for manufacturing that is tech-centered for a seamless user experience. You can only make the perfect cup of coffee or espresso by using freshly ground beans optimized for your favorite extraction method. The Final Shot: The BCG820XL Smart Grinder Pro definitely wins the top spot for the simple reason that it offers a wider range of grind settings. The pause function during dosing and the lower price tag are a nice bonus. Grind consistency should be a prime concern. Both the Breville Smart Grinder and Breville Smart Grinder Pro offer professional grind quality that is calibrated to your dosing needs. 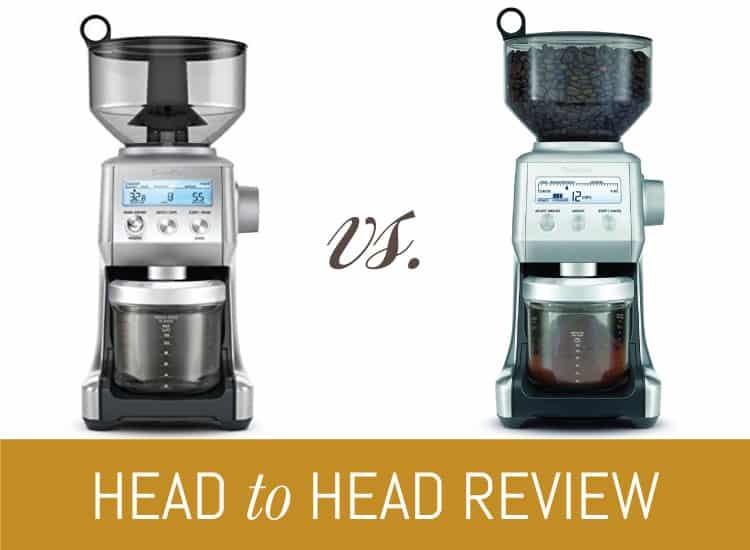 While both models are offered in the same product line by Breville, there are distinct differences that make each model stand out. This review will highlight the key features of both grinders and explain the important differences between the two. The BCG820 Grinder Pro is almost identical to the Breville BCG800 Smart Grinder, with the exception of some minor improvements. Both the machines represent the fantastic BCG series of conical burr mills. These grinders are known as “smart” grinders, named to draw attention to the convenient digital interface. What else would you expect from Breville? The machines are also smart in how they calibrate settings to your needs. As you change the grind settings for the beans you are using, both machines will adjust the doses automatically. Their upgraded dosing controls and auto-dosing scheme digitally calibrates each and every grinding session on the fly. These grinders are fabricated with a shiny brushed stainless steel outer casing to match Breville’s beautiful high-end line of espresso machines. Both are offered in multiple color options including red, black and silver. They both include the nice, air-tight, 1 pound bean hopper sealed with a hook. The bean hopper is removable and easy to use for storing beans. 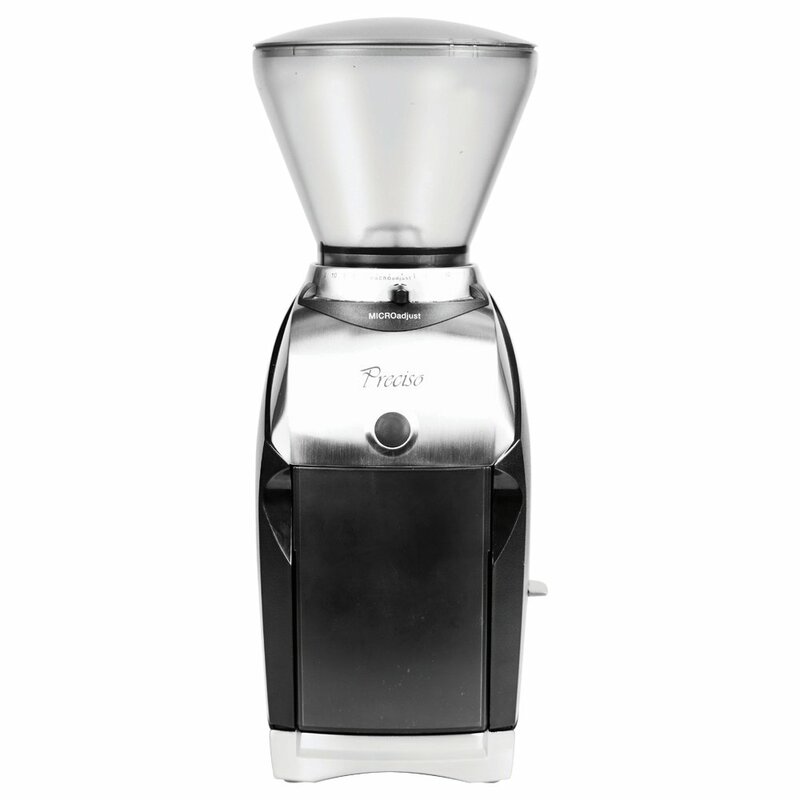 The airtight hopper is specially designed to safeguard the freshness of the beans. Both grinders feature a bright LCD display, providing information on all available relevant options, like grind volume and coarseness. It’s incredibly helpful to be able to clearly see your grind settings, amount, and the number of shots or cups. The controls are also pretty simple. In terms of functionality, both grinders are really similar. Both have stainless steel conical burrs measuring a standard 44mm. An adjustable dial at the right side of the machine is used for adjustment for finer grinds or coarser grinds. They also come with a catch container that comes in handy when you are grinding for drip or French press. It is also extremely helpful for any overspill and it is removable for easy cleaning. Both the grinders do come with portaholders; one large 58mm portafilter cradle and one smaller 54mm for Breville portafilters. This is a great feature you should always look for in a grinder if you’re a frequent espresso drinker. Because these Breville coffee grinders feature nearly identical designs, they do have all of the same issues with maintenance. Very frequent cleaning is required for both of them. It is not wise to use oily beans frequently because they can gum up the machine. Unfortunately, some parts are a little hard to get to, for example, the grind chute. Despite all the great features they come with, neither machine is able to save grind options for varied brewing methods. Last but not the least, if you don’t like the annoying sound most of the grinders produce then you get a relief knowing that both of them operate Very quietly. The most significant improvement of the BCG820BSSXL Pro over the BCG800XL Smart Grinder is in the filters. The Pro no longer requires twisting or adjusting to yield the special fine grind needed for espresso. You are able to calibrate for finer grinds in the regular settings dial. No more tinkering required for single-walled, non-pressurized portafilters. On the Pro you are also able to fine tune in the internal burr for additional 35 more grind settings. While BCG800XL has a moderate 25 grind settings, the BCG820 Pro features a massive 60 grind settings for a wider range of coarseness. The combination of these 60 settings allows you to manipulate your settings with pinpoint accuracy, helping you to obtain the perfect shot. This grinder is digitally enhanced to give you maximum flexibility and consistency with your grinds. BCG800XL Smart Grinder doesn’t include a ‘pause’ option to halt the grind mid-flow. It features a standard start/stop button. In the case of BCG820 Pro, you can pause grinding and then resume whenever you want. You can also cancel the operation with the same button if you aren’t happy with the grind and want to adjust. This makes grinding super-efficient. 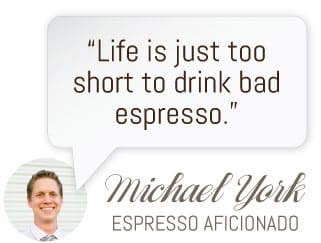 You can examine the grind anytime in the process so you can be sure that you are getting the results you need and your coffee beans are not wasted. Its ‘Set Dose’ feature allows you to customize your grinding dose in 0.2-second increment. The minimum time to grind a double shot is 22 seconds in the smart grinder. 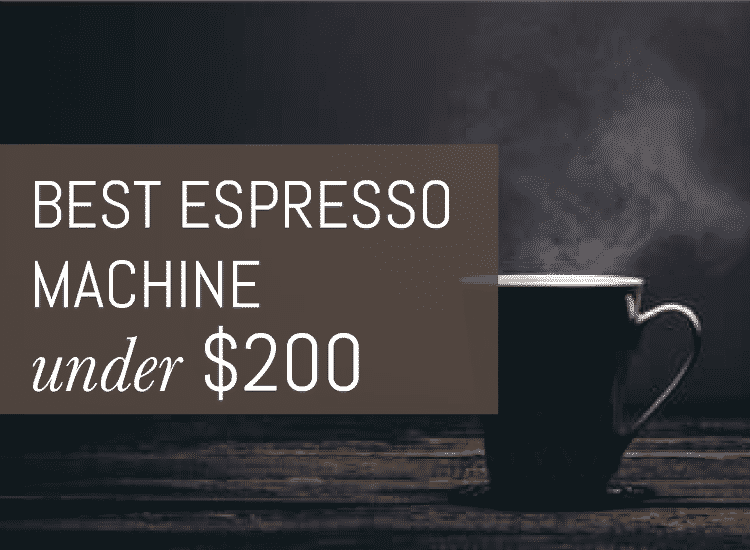 The BCG820 Pro also lets you to program the volume of your coffee and espresso cups, yielding a more accurate grind quantity than the Smart Grinder. The biggest shortcoming, however, is that this grinder struggles to achieve a fine enough grind for non-pressurized espresso portafilters. Breville has addressed this issue by providing BCG800XL owners with a free shim kit upgrade. In terms of shape and form, the Breville BCG820 Pro is relatively standard. The product has a size of 8.5” x 6.2” x 15.2”. The BCG800XL has the dimensions of 8.2 x 6 x 15.5 inches. The BCG820 Pro weighs 6.4 pounds which are a little bit heavier than the BCG800 Smart Grinder (6 pounds). If you are presuming that like the other criteria, BCG820 Pro exceeds the BCG800 Smart Grinder in the price as well then you would be mistaken. Because the Pro surprisingly costs less than the Smart Grinder and the margin of difference is pretty large. 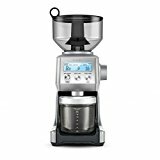 Both the Breville BCG800XL and BCG820XL Pro offer a professional quality grind with an appealing design that upholds the high standards of the Breville brand. While they are considered consumer grade grinders, these grinders come with many of the bells and whistles that you would find on a commercial grinder. The BCG820XL Smart Grinder Pro definitely wins the top spot when it comes to a match-up between these two as it offers more customization over your grind settings. While I prefer the Smart Grinder Pro because of the grind features and compact size, you can choose which grinder will be the best fit for your kitchen.